Posted by rogerhollander in About Anne Hollander. 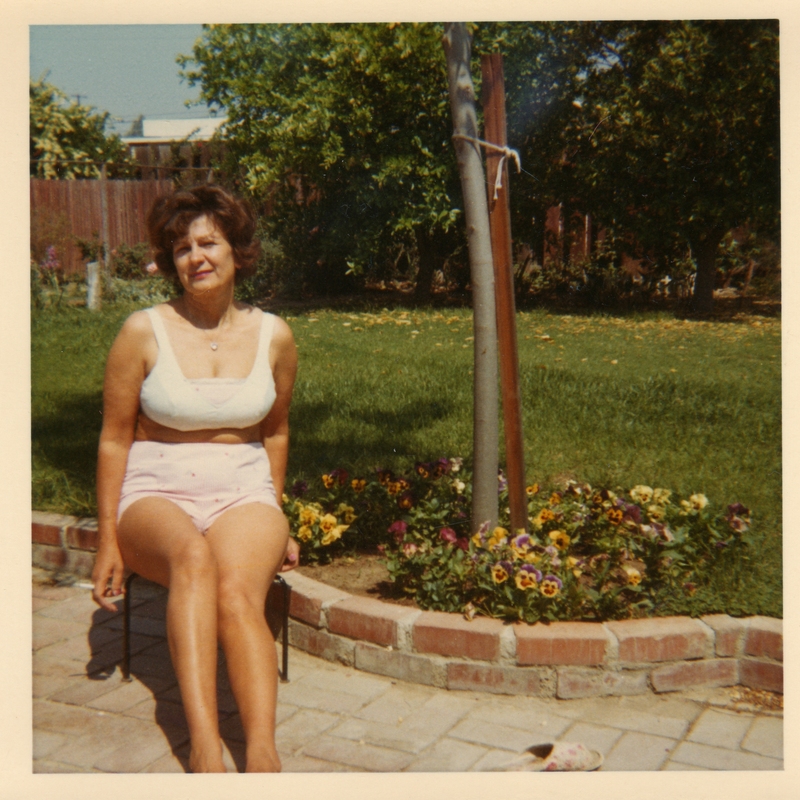 Roger”s note: I am re-posting this on Mother’s Day, 2014, in honor of my mother, nee Stefana Korabiak Zalepsky, aka Anne Hollander. Don’t bother to look her up on Google. The only Google she knew would have been “Barney Google with the Goo Goo Googley Eyes.” Nevertheless, the memory of her magnificent life supersedes my grief at her loss and compels me to express this public remembrance. Is it significant that with a fifth grade education she became an active leader and president of the local PTA in Irvington, New Jersey? Does it mean anything that in the “pre-feminist” forties and fifties she taught me to sew and knit and cook? Is there something special about the fact that, when my school project on the Netherlands had the sixth grade boys making wooden figures in Wood Shop and the girls Dutch dolls out of old stockings in Home Ec., she marched into the principal’s office at Augusta Street School to successfully advocate for my wish to make a doll along with the girls? (I slept securely with little Dutch “Jan” into my early adolescence). I know that I am not the first nor will I be the last person with a desire to publicly eulogize a beloved parent who may not possess any of the standard claims to fame. Call me quixotic, but I honestly believe that my mother, Anne Korabiak Hollander, merits a posthumous moment of sublime recognition. She was extraordinarily extraordinary despite the absence of a claim in her lifetime even to those iconic fifteen minutes. Beyond what she has meant to myself and my brother, to her four grandchildren (two professors at state universities, the others a freelance journalist and a professional musician) and ten great grandchildren; her grace, her absolute absence of malice, her generosity of spirit, her purity of heart, and a simple and wholesome loving nature sets her apart from anyone else I have ever known. 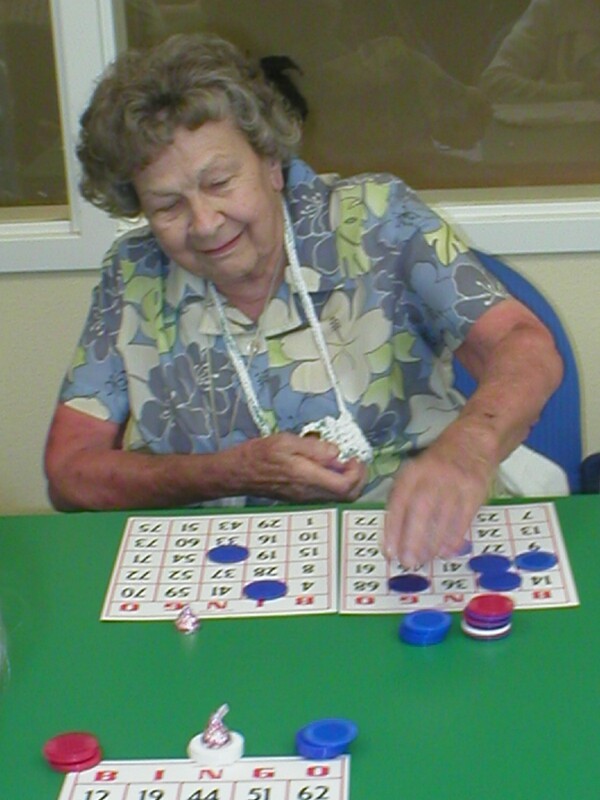 In her last years, despite debilitating chronic illness and a deep feeling of loneliness from being separated from most of her family, scattered around the globe, in assisted living at Garden Creek in San Luis Obispo and finally at the Masonic Village Nursing Home in Pennsylvania, her winning smile and cheerful attitude brought solace and comfort to all those around her, staff as well as fellow patients. She was universally adored, loved and respected. If that is not worthy of some sort of special recognition, I don’t know what is. 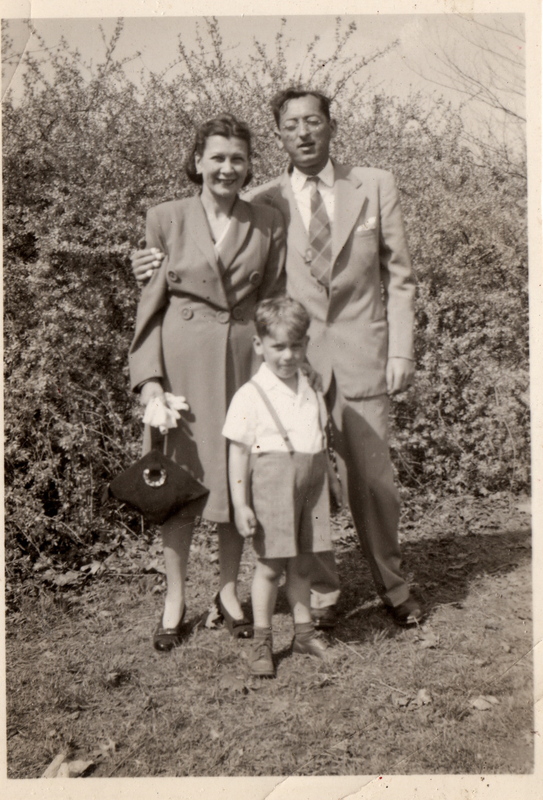 It must have been sometime in the late 1940’s that our family spent the day at Coney Island. I have two distinct memories of that day: Nathan’s hot dogs and the Parachute Jump ride. I was fearless in those days, and no amount of bribery or cajolery was able to convince me to pass up the big jump. 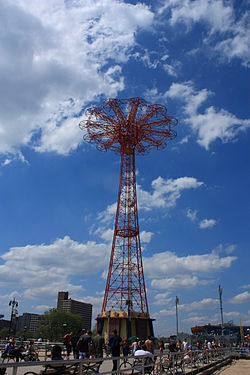 William Styron in “Sophie’s Choice,” recounts Sophie’s delight in that very same parachute jump ride that is eerily akin to my own, the ride was a relic of the 1939 World’s Fair and 200 feet in high. My memory insists that it was at 500 feet. In any case, there was no question that I would not be allowed to take the big plunge all by myself. The problem was that the male members of the group, my father and my older brother, politely yet firmly begged off. That left my mother, who, concealing the terror that any sane adult would have at such folly, agreed to be my companion for the big dive in the sky. It began with a slow rise to a height of nearly two football fields (I’m sticking with my version of the height, for, even if my memory is not literally accurate in the mathematical sense, taking into account my age and size, the thing subjectively was higher than the Empire State Building). The first part of the drop was actual, literal free-fall. I cannot remember the formula for acceleration that I later learned in high school Physics, but I can tell you that we were dropping pretty darn fast, and, of course, this being my virgin plunge, I had no idea if or how the free-fall was ever going to somehow abate and thereby prevent an inevitable and fatal crash onto the Boardwalk below. When the cable did catch and we floated to the bottom, I think I had come as close as it is possible to experience death and re-birth. And there, with my mother, Anne Korabiak Hollander, faithfully, loyally, lovingly – and shaking like a leaf – at my side. When in 1987 I was considering a major change in my life by moving from Toronto to Ecuador, I consulted with both my daughters, my brother and my parents for their opinion. This involved travel to Pittsburgh and California. 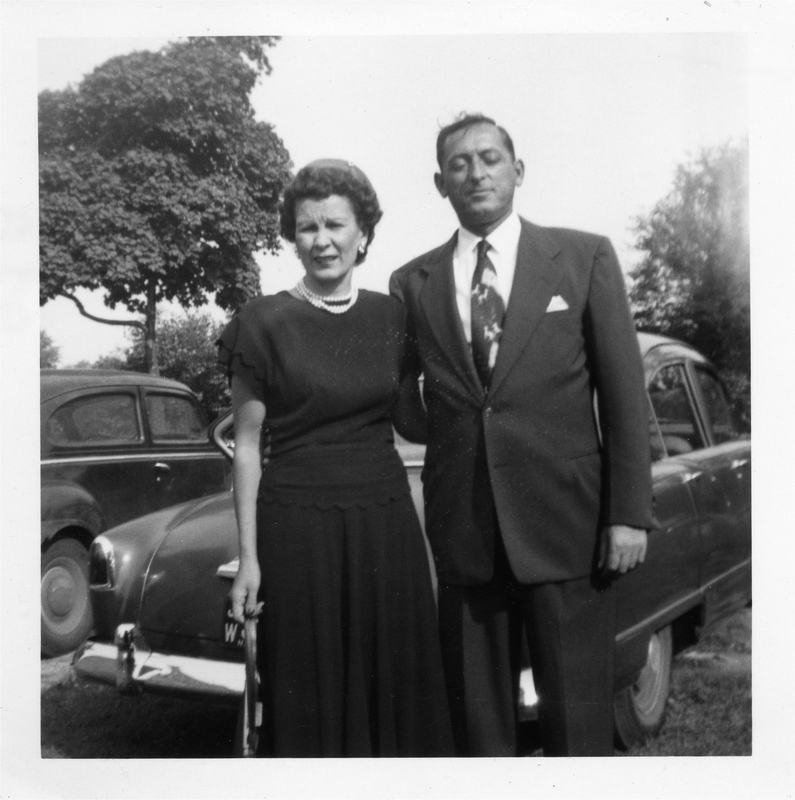 In Reseda California, at the home which my parents had purchased in 1955 and where they completed their nearly 70 years of companionship, I spoke of my plans with my father and mother. They had always supported me in any situation, many of them difficult. 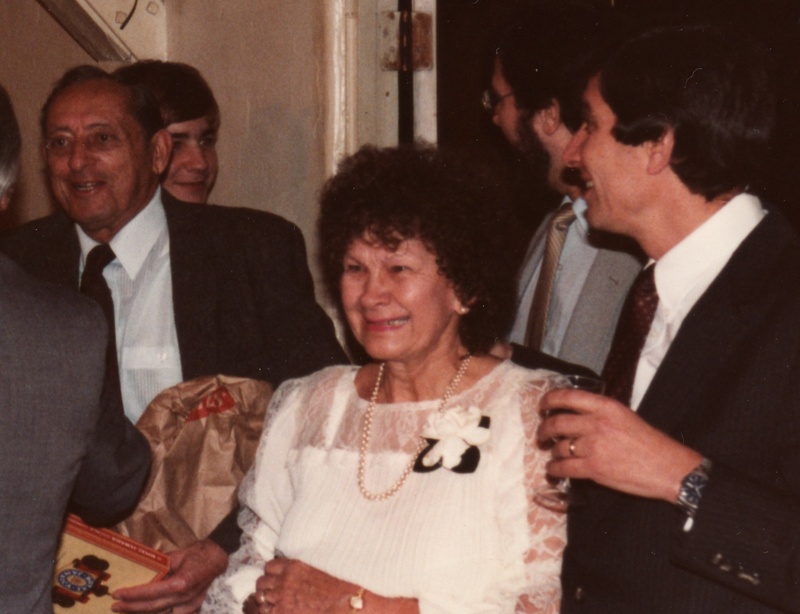 Thankfully, for only a short time, I became an insufferably aggressive evangelical Christian and nearly drove my parents crazy with my obnoxious if sincere efforts to save them from eternal perdition, Then as an undergraduate I morphed into a student radical and elicited an irate public response from Clark Kerr, renowned President of the University of California, when as a member of the Student Council I vigorously challenged his restrictive policies with respect to on-campus speech, and my parents were certain I was going to be expelled. Finally, I created considerable anxiety for them by violating the Selective Service Act and exiling myself to Canada in 1968 in protest of the Vietnam War, at which time, when the F.B.I. came around enquiring about me, my parents politely told them to get lost. It is worth noting that my father worked in the sensitive aerospace industry at the time. On that day in late 1987 when I solicited their opinion on my planned move to Ecuador, my father’s face, in spite of his supportive words, showed concern and disappointment about my decision to locate so far from “home.” Perfectly understandable. My mother, on the other hand, didn’t miss a beat in saying, “Roger, I believe in doing your own thing.” I had never heard this kind of language before from my mother, and my immediate response was, “Mother, you sound like a Hippie.” Again, without missing a beat she came back with, “Roger, I am a Hippie.” She would have been 74 years of age at the time.